It’s a city famous for being home to the first-ever Green party MP, so what better way to support one of its biggest sporting events than by providing an emissions-free support vehicle? 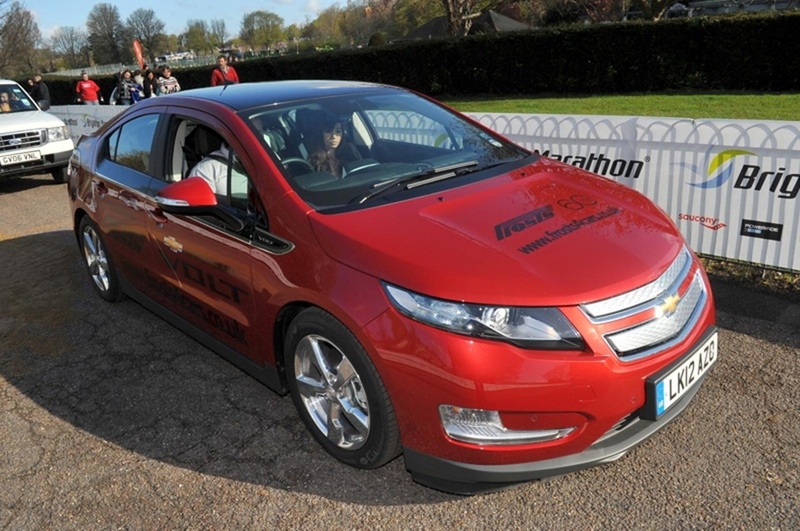 Chevrolet UK, in conjunction with main dealer Frosts of Shoreham, supported the 2012 Brighton Marathon with one of the very first Volts in the UK – a car capable of driving the entire 26 mile marathon route, and more, without using a drop of petrol or a single tailpipe emission. An estimated 100,000 people turned out to watch the event, Brighton’s third full international marathon, which was won overall by Kenyan Peter Some. Commenting on the Volt’s participation, Chevrolet UK Managing Director Mark Terry said: “With a full marathon lasting 26 miles and the Volt covering up to 50 miles on a charge, this event was the perfect opportunity to demonstrate the benefits of emissions-free driving, especially in a city as eco-focused as Brighton. Thanks to a clever combination of electric motors and an on-board generator, which provides back-up power to the electric drivetrain when the batteries are depleted, the Volt is the first car in the world to benefit from Extended Range Electric Vehicle (E-REV) technology. On a single charge, it can cover up to 50+ miles, but thanks to the E-REV system will never leave its driver stranded when the battery runs down. The car has an overall range of over 350 miles and can, if necessary, be driven without charging it up.